This February we’re sharing our passion for the planet. Now you can too. There’s something exciting about coming up with new ideas. When the energy builds and our brains start buzzing. When your team comes together to inspire each other, and talk about matters that matter. When people’s natural vibrations start to rise. Last year, at Form1, we spent a lot of time discussing new ideas. We started brainstorming and the more we brainstormed, the more excited we got. What quickly became apparent is that our passion for the planet is huge. You see, in our industry, where we’re out in the field every day, it’s hard not to notice areas of opportunity where we can make small changes that will create ripple effects. In 2019, we’re dedicated to bringing some of our favourite ideas to life. Ideas that align closely with our company values and make us even more inspired to get up and come to work every day. This February, we’re inviting you to get involved as we launch Passion 4 The Planet, with multiple incentives built around doing our bit for the environment. To kick things off we’ve teamed up with eco-warriors, frank green to bring you our very own reusable coffee cup. So, if you love coffee and dig doing your bit for the environment, our first endeavour’s just for you. In Australia alone, we go through one billion disposable coffee cups every year. And every year, around the globe, 500 billion disposable cups find their way into landfill. We’re talking one million cups a minute, of every hour, of every day, of every year. That’s a lot of caffeine we’re drinking to keep our bodies, busy. But it’s also a lot of unnecessary waste for our planet. By reducing single-use cups we can significantly reduce our impact on the world around us. 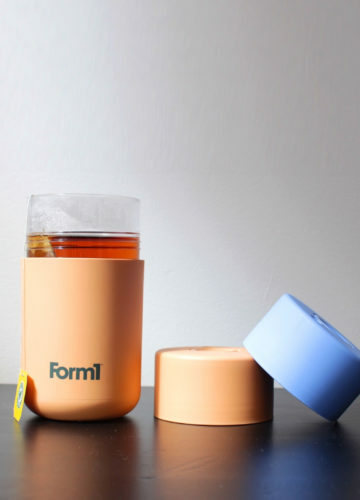 If you drink from your Form1, frank green cup twice a day (in a working week), you can save 520 single-use cups from landfill each year. And the best part? In as little as 15 uses, you’ll begin to offset the environmental impact it took to create your frank green. In case you’ve been too busy waiting for Game of Thrones, Season 8, frank green was founded in coffee-crazed Melbourne, in 2013, by Benjamin Young – entrepreneur, caffeine enthusiast and passionate environmental advocate. Ben worked in waste management when he decided, we’d be better off changing our behaviours before we create waste, than trying to deal with the pain afterwards. Ben’s right! If we’re going to do better by our world, it’s time to start changing our habits. 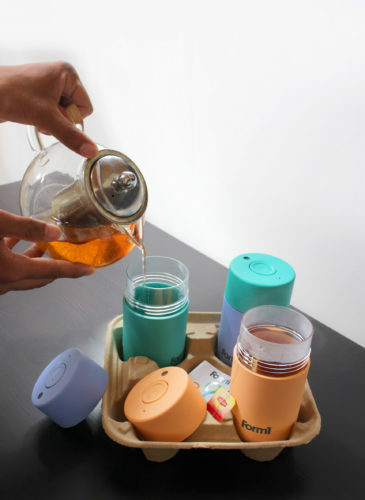 Our Form1, frank green cups reduce single-use waste and encourage positive, behavioural change. To celebrate our Passion 4 The Planet incentive, we have 100 of these gorgeous cups to give away to staff and clients, but we want to hear from you. Show us your Passion 4 the Planet this February by sharing your eco-hacks! What daily habits have you changed to impact your impact on the environment? Share your stories to score a cup! We’re passionate about doing things that make us better humans and we hope you’ll join us! Together we can make smarter choices and have a positive impact on our earth. If you’re looking for more inspiration check out 50 ways to help, a funky website full of environmentally-friendly tips to make you more sustainably savvy.